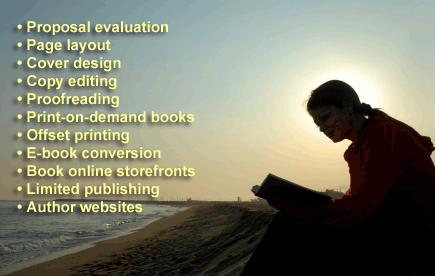 Kevin offers the following book-production services, some of which are contracted to highly skilled specialists: Bill Schneider, for example, who has been in the book publishing business for 42 years and built Falcon Press into a successful company with more than 800 titles. Whatever your book production needs, your project will receive the utmost care, and we work to satisfy customers! E-book files acceptable for uploading to Amazon, Barnes & Noble, and Apple’s iTunes can be completed for as little as $195. Print books range widely in price depending on hardcover, softcover, color interior (or not), book dimensions, number of pages, cover art and style desired, and what ala carte services are selected. One thing is certain – Kevin ensures fairness, competitive pricing and customer satisfaction! Contact me for a quote. Kevin specializes in all aspects of post-manuscript production and brings a personal touch and a fast turnaround for authors desiring to self publish. 1) Book production – Whether print books or e-books, Kevin receives your manuscript, produces the book to your satisfaction, and delivers. 2) Creation of your online presence on Amazon, Barnes & Noble and the iStore – For print or e-Books, the author creates a publisher account and Kevin uploads the cover, sample chapters, promotional copy, including front/back cover copy and editorial reviews. 3) Five Valleys Press publish and re-publishing option – For authors wanting to self-publish a new book or re-publish an old one and minus the hassle of publishing.